A record 242 athletes will represent the United States at the 2018 Summer Olympics in PyeongChang, South Korea; 107 women and 135 men. That number could fluctuate depending on injury, illness or other circumstances due to the qualifications for each sport. Below is the full United States Olympics roster, sorted by sport and gender. Each heading and gender is followed by the number of athletes in that sport and the numbers of women and men in that sport, respectively. Athletes names are followed by height, weight, date of birth and hometown The last listing for each athlete is the specific event in that sport or, in team sports, the position that athlete plays on the team. After winning bronze in the Luge in the Sochi Olympics in 2014, Erin Hamlin is out for gold in 2018. She also will serve as the flag bearer for the United States at the Opening Ceremony on Feb. 9. 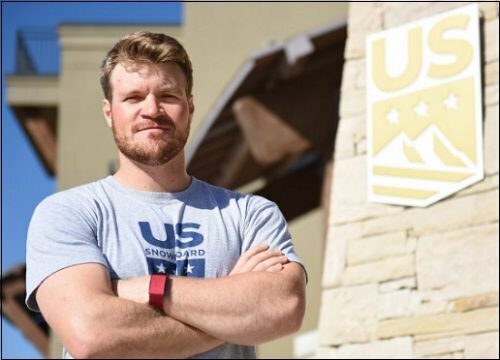 When he's not snowboarding, first-time Olympian Mick Dierdorff works part-time framing houses. The U.S. needs more medals! Let's hope we can pick some up as the Games go forward!